Created from yellow gold, this delightful Disney inspired bracelet is a surefire beauty in the jewellery box. 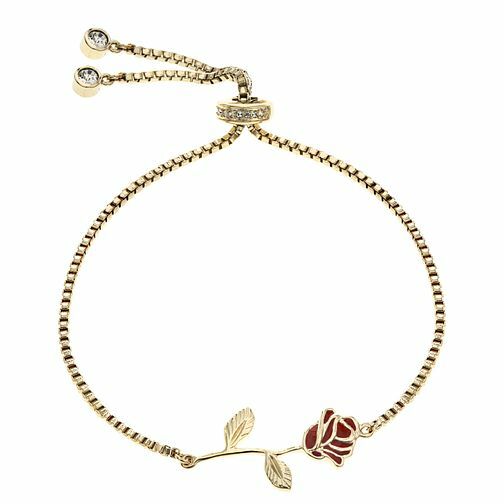 A cube chain presents a gold plated rose, complete with red enamel petals to add a touch of colour. The bracelet is complete with a round clap, adorned in glistening white crystals for the perfect finishing touch. A charming gift for any devoted Disney fan!